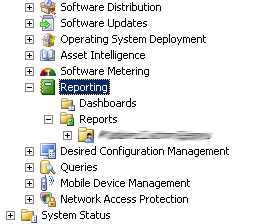 Reporting Services tab not showing in SCCM console after R3 upgrade? Here’s how to fix it. …at this point you should be all set to install the R3 upgrade to your console which will bring the Reporting Services tab. This entry was posted in ConfigMgr, Support and tagged 2007 r3, console, hotfix, sccm on October 24, 2013 by Adrian Kielbowicz. This entry was posted in ConfigMgr, Support, Windows and tagged 2007 r3, diskpart, osd, sccm, task sequence on April 8, 2013 by Adrian Kielbowicz. Lets assume that you have to decommission a distribution point that’s part of your ConfigMgr 2007 R3 infrastructure. Doing it the clean way would mean manually removing all packages, you have ever copied, which is definitely not fun. Initial copy of packages, when the DP is first setup, has a nice feature called “Copy Packages” but there is absolutely nothing allowing you to remove them. Pretty stupid really as trying to find every single package and manually “Manage Distribution Point” can take literally hours… Fortunately there is very handy tool to help us out here called “ConfigMgr 2007 Distribution Point Package Utility” created by Cory Becht. This utility queries the primary site server for all of its distribution points including child sites and then displays the packages for each distribution point. You check or uncheck which ones you want on that distribution point. You can also copy the packages list from one DP to another. 1.3 – Now includes duplicating the packages of another distribution point. 1.1 – Fixed multiple DP’s per site error. 1.01 – Included “Select All” button for packages. This entry was posted in ConfigMgr, Support and tagged 2007 r3, configmgr, distribution point, package, sccm, tool on March 22, 2013 by Adrian Kielbowicz. How to deploy 7-Zip 9.20? Following on from my last post which talked about deployment of VLC Media Player 2.0.4 we are going to look at pushing out 7-Zip 9.20 in the enterprise. Compression ratio results are very dependent upon the data used for the tests. Usually, 7-Zip compresses to 7z format 30-70% better than to zip format. And 7-Zip compresses to zip format 2-10% better than most of other zip compatible programs. FILE SETS: Mozilla Firefox 1.0.7 for Windows and Google Earth 3.0.0616 for Windows after full installation. This entry was posted in Deployment, Support, Windows and tagged 7-zip, Deployment, enterprise, msi, orca, sccm on January 17, 2013 by Adrian Kielbowicz. Once done you can click on the collection itself and safely select “Delete Special” to remove all duplicates! If you guys have any questions please leave a comment down below. This entry was posted in ConfigMgr, Support and tagged database, duplicated objects, query, sccm on December 11, 2012 by Adrian Kielbowicz. 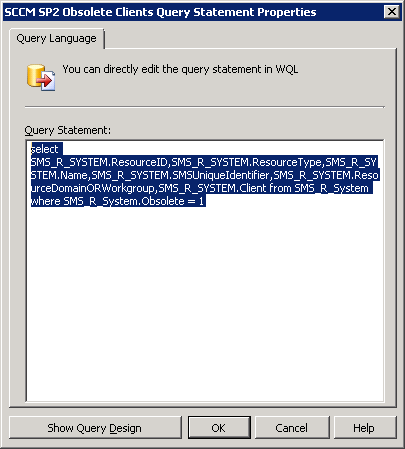 This entry was posted in ConfigMgr, Support and tagged database, obsolete, query, sccm on March 5, 2012 by Adrian Kielbowicz. All Unknown Computers Collection is Completely Empty in SCCM 2007! 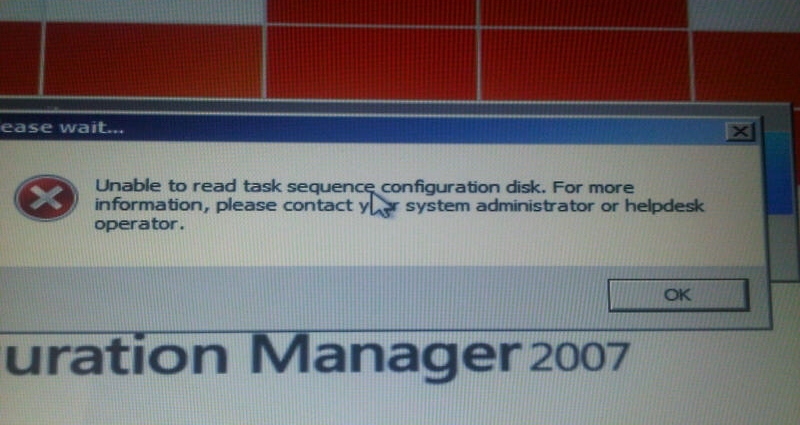 This entry was posted in ConfigMgr, Support and tagged collection, sccm, unknown computers on November 26, 2011 by Adrian Kielbowicz. This was bugging me for some time now and finally I have the solution, good old TechNet, eh? Report Viewer in Configuration Manager 2007 limits the number of rows returned to 1,000 rows when you click Values and the values list displays for a prompt. 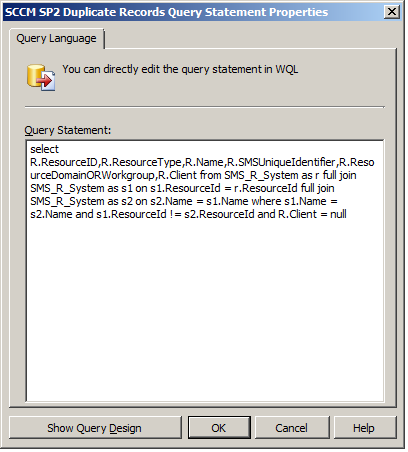 The maximum number of rows returned by the query for the prompt that populates the values list can be modified by creating a registry key and setting a value on site system computers that have the reporting point role. Increasing the maximum number of rows for queries that return a large amount of data or for queries that are inefficiently written might cause performance issues when the values are displayed. Open the Registry Editor on the reporting point computer. On reporting points that run on a 32-bit operating system, navigate to HKEY_LOCAL_MACHINE\SOFTWARE\Microsoft\SMS\Reporting. On reporting points that run on a 64-bit operating system, navigate to HKEY_LOCAL_MACHINE\SOFTWARE\Wow6432Node\Microsoft\SMS\Reporting. Create a DWORD value named Values Rowcount, and then set its value to the number of rows that you want returned in the report query. If you want to return all rows, set the value to 0xffffffff, which is the hexadecimal equivalent of –1. 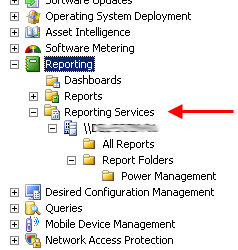 The configured number of rows is returned by any prompt query that is run from this reporting point. Here for x64 and here for x86 systems. This entry was posted in ConfigMgr, Support and tagged maximum rows, registry, reporting, sccm, values list on July 28, 2011 by Adrian Kielbowicz. Hey there! Welcome to my vBlog. Second part of entertainment will be provided by System Centre Configuration Manager or vNext in later releases. This entry was posted in General and tagged hello world, intro, sccm, VMware, welcome on January 29, 2011 by Adrian Kielbowicz.